By choosing a car of the Lamborghini brand, you have chosen the absolute nose of the salmon. Because you put quality first, you probably don't look so much at the price tag. This does not detract from the fact that it is always a good thing when, for example, you can save on repairing certain damage to your car. No matter how qualitative a Lamborghini as a car may be, it goes without saying that damage can never be completely ruled out. What, for example, can we think of any damage caused to the windscreen by rubble? Such window damage can be particularly annoying, not least for the driver, so you will want to have it repaired quickly. 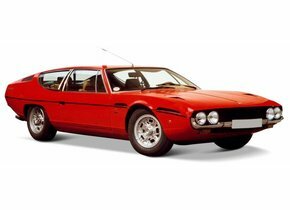 A windscreen replacement of the Lamborghini at a very interesting price without the need to surrender anything in terms of quality? Autoglas Concurrent make it possible for you! Contrary to what many people dare think, it is not the case that your Lamborghini windscreen will break up into countless pieces in case of damage. The windscreen of a Lamborghini invariably consists of laminated glass. This concerns glass that is made up of different layers of glass, in between which a so-called PVB film layer can be found. This layer is sticky on both sides, which ensures that the glass can be held together perfectly in case of breakage. If there is damage to the Lamborghini windscreen, it will always be expressed in the form of an asterisk or a big crack. This window damage may not seem like a big problem at first glance, but apart from the fact that it doesn't look very nice at all, it is also true that it doesn't at all benefit the safety of both you and your driver and the passenger. The windscreen replacement of your Lamborghini may be recommended. When is a windscreen replacement of a Lamborghini necessary? A windscreen replacement of a Lamborghini in case of damage is always interesting. This is particularly the case when the window damage is in the driver's field of view. In this situation, the driver's vision during driving is affected by all the risks involved. In addition, for example, sunlight can reflect in the asterisk or the crack, which reduces visibility to a minimum. If the damage to the Lamborghini windscreen is in the field of vision, you should also note that it will be rejected for the APK. Apart from this fact, replacing the Lamborghini windscreen is always recommended in case of damage. After all, the car windows that are part of your vehicle are just 40 percent responsible for the rigidity of the chassis. It is therefore unnecessary to say that a damaged windscreen almost always involves the necessary risks. Are the costs of a new Lamborghini windscreen really so high? 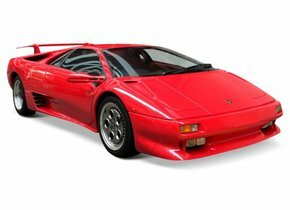 Many people automatically assume that replacing a windscreen with a Lamborghini always requires considerable investment. If you choose to order a new Lamborghini windscreen with a brand logo, it is indeed necessary to take into account a very high price tag. On the other hand, there is also a particularly interesting alternative in the form of automotive glass for the after-market. The windscreen replacement of your Lamborghini with a copy for the after-market not only ensures that you can count on an excellent quality, but also that there is no drop in quality at all. To replace the windscreen of a Lamborghini with new automotive glass with a brand logo will therefore ensure that you pay much more for the logo that can be found on the windscreen. It goes without saying that this does not immediately justify the surcharge for many owners of a Lamborghini, on the contrary. The above already makes it clear that it is always interesting to choose a new Lamborghini windscreen for an after-market model. You can enjoy exactly the same quality as a windscreen with a brand logo, but without the towering cost price usually associated with it. In addition, Autoglas Concurrent also ensures that your brand new windscreen is installed by one of our certified partners within the period of one to two working days. In other words, are you looking for a fast, qualitative and reliable solution for the damaged Lamborghini windscreen? In that case, your windscreen replacement of your Lamborghini by Autoglas Concurrent is definitely an absolute must!